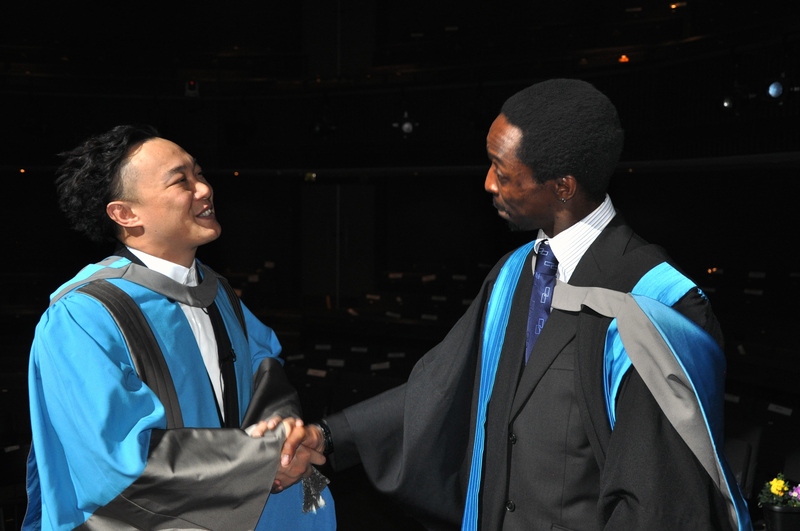 On Friday I graduated from my Masters degree in Music Performance. I don’t do pride much, as those of you who read my blog about my single release and other ‘achievements’ will know. But as I look back over the last number of years, I do feel a touch of pride indeed. I am no academic, I am horrendous at academic writing. My writing style is colloquial to say the least, not the approach required for academic writing at all. I still remember thinking the Under Graduate degree was a trial. On beginning the Masters degree, I came to a new understanding of the word stress. So, despite being a tad disappointed with my final grade, I am very happy indeed to have gained my Masters qualification. 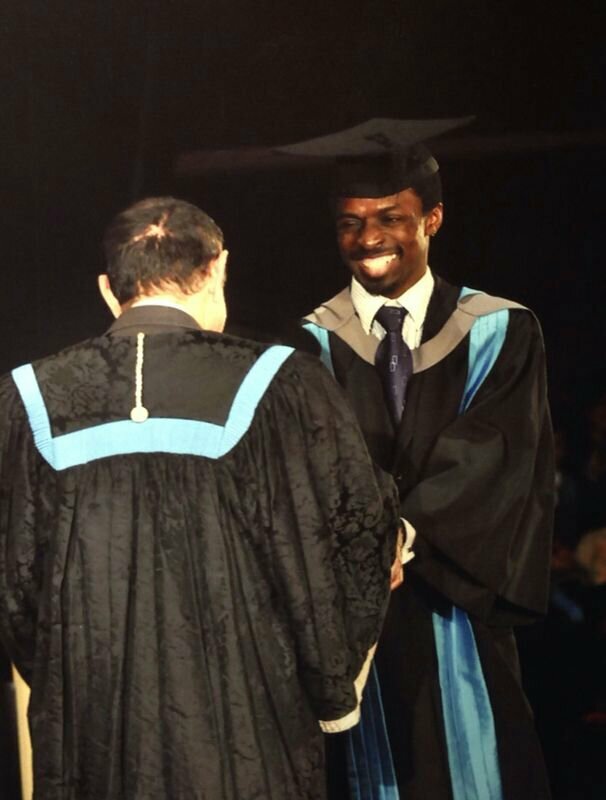 In the years to come, I hope I can make my family and Kingston University proud. 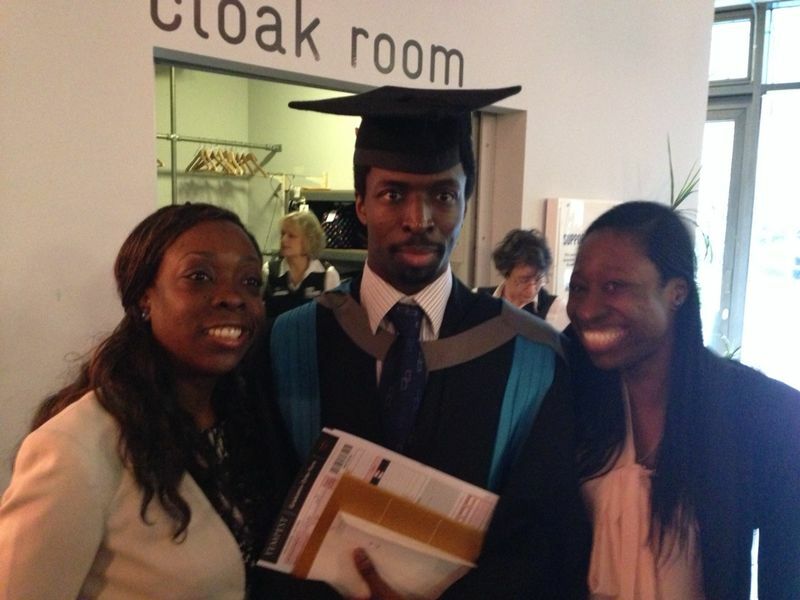 My graduation weekend began with the ceremony itself on Friday 24 January at The Rose Theatre in Kingston. 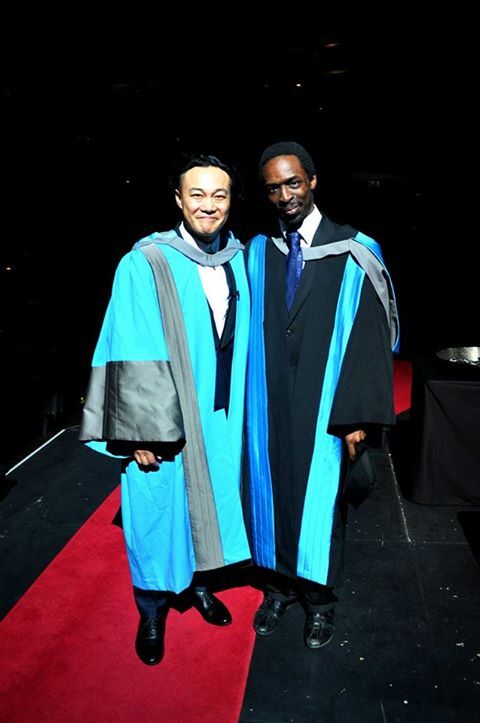 Eason Chan, a Cantopop megastar received an honorary PhD at the ceremony, which added a certain glamour to the whole event. And I must say, getting to talk to him afterwards and asking questions of him at his press conference just made the day even better. With all the pressure I was under and the fear I wouldn’t complete the masters programme, I now ask myself if it was all worth it. My answer is yes, it most certainly was. Attending that ceremony did more than mark the end of of something. It helped to validate everything that I had to deal with over the last two years. My love for performance and for music, were the reasons I decided to extend my study in my field. Higher Education remains the way forward, no matter what certain papers may tell you. It is because of this value that it remains a bargaining piece in the political games that have been played over the last number of years in this country. And why the Liberal Democrats have much to worry about come the next general election. But, this isn’t a blog about politics. This is a blog about hope and belief. I will continue to advice others to study their passions. Seek to learn more about what you love. The PG course, as ardous as it can be, will question your understanding of your subject. It will make you question yourself and it will give you a better understanding of why you love what you love. So, it is important to know that the value of the degree isn’t in the money you have to pay for it. It is in what you get out of it. And I have always held the belief that if I want something badly enough there is nothing that will stop me from getting it. I am hardwired to try and keep trying until the final bell tolls. I worked two jobs to pay my way through my masters and didn’t get much by way of sleep. And once again, I ask, was it worth it? YES it most certainly was. Find out what you want, then go and get it. The first part of that is important. As once you know you want it, there’s no stopping you. In his speech, Eason Chan said that one should always have a kind heart. I’ve tried to keep with that motto. It’s harder to do at sometimes, but I still try. And will continue to do so. I once told myself, when all seemed lost almost fifteen years ago, that I either fight or die, no middle ground. I’ve been fighting ever since. For me there has only ever been one option. And that is to win. And so I will, by nook or by crook. There are too many people to thank and continue thanking. I love you with all of me. My graduation weekend concludes today, with a performance with my newly formed band ‘TJ and Friends’ at the Rose Theatre. So, if you’re in and around Kingston Upon Thames today, head to the Rose Theatre, where the 1st Annual Kingston Arts Student Festival will be taking place. The day begins at 12pm, till about 6pm. I will be on stage at 4.30. And once again, thank you all for your support and your strength! This entry was posted on January 27, 2014 by Music TJ. 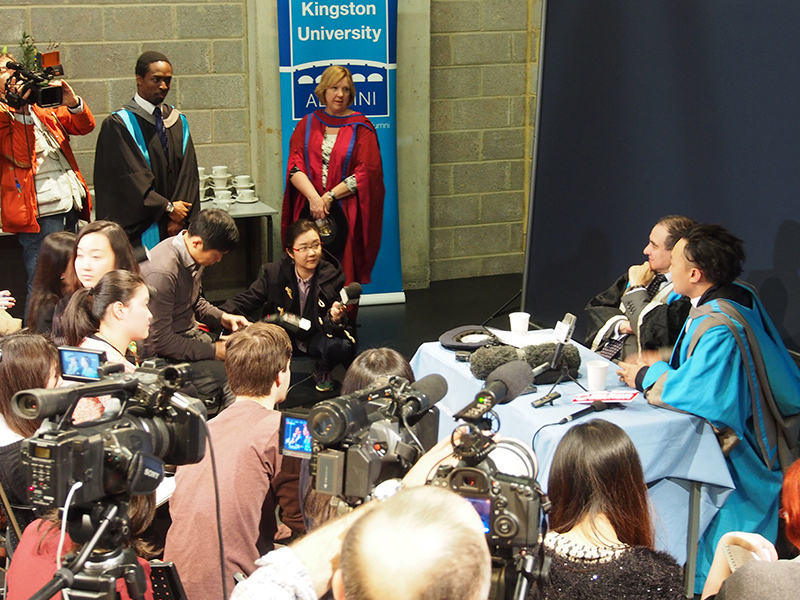 It was filed under Higher Education, Music and was tagged with Ambition, Art, Artist, Celebration, Challenge, Creativity, Eason Chan, entertainment, Hope, Journey, Joy, Kingston University, Kingston Upon Thames, Laughter, Live, Music, Performer, Post Grad, Rose Theatre.